Kafka Granite Partners with Eco Village: In the Spring of 2012, St. Croix Valley Habitat for Humanity broke ground on Eco Village, an energy independent, affordable housing community located in River Falls, WI. 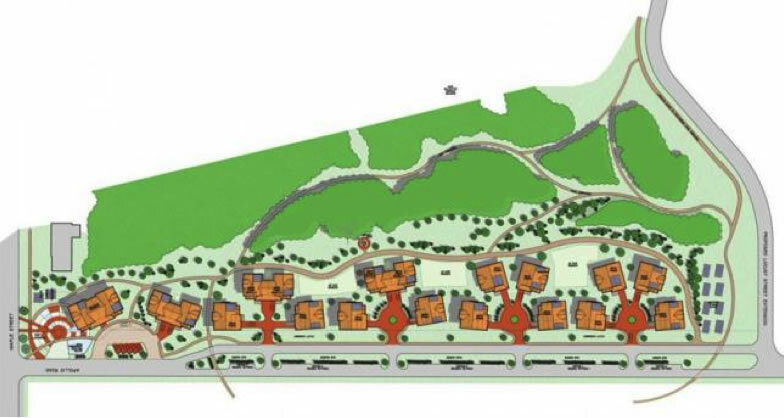 When completed, the Eco Village will have 18 units and is expected to be the largest net-zero project in the nation, meaning it will produce more energy than it consumes. With an array of environmentally friendly products, Kafka Granite has partnered with Eco Village to help create a beautiful and sustainable landscape. Eco Village will be utilizing both Permeable Paver Grit and Standard and/or Stabilized Pathway Mix for the driveways, boulevards, sidewalks, and walking trails. The permeability of both products will significantly help Eco Village control storm water run-off, while creating a natural and aesthetically pleasing environment. Kafka Granite is excited to be a part of this efficient, ecological, state-of-the-art, and affordable community housing project. We will be following this project as it progresses, so say stay tuned for future updates! To learn more about Eco Village, check out the St. Croix Valley Habitat for Humanity website or read this article featured in The LA Times. Want to become involved in this project? Learn how you can donate materials or volunteer your skills. Want to learn more about Permeable Paver Grit, Standard and Stabilized Pathway Mix, or Kafka Granite‘s other environmentally friendly products for your next LEED certified project? Contact one of our knowledgable sales representatives for more information! WORK HARD, PLAY HARD GOT WOOD? WE STUMP AND GRIND!